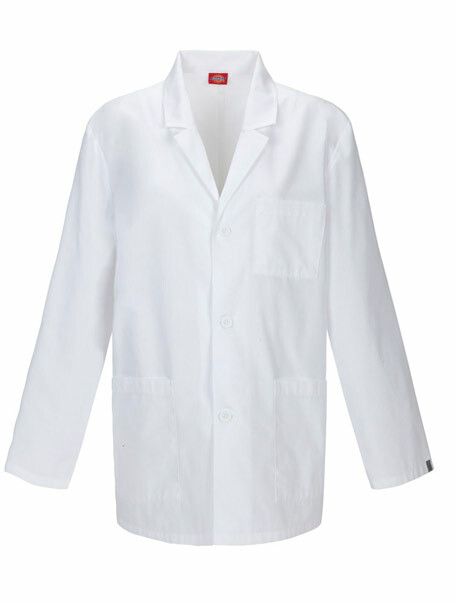 Men's Fit consultation lab coat features a notched collar and a three button closure. 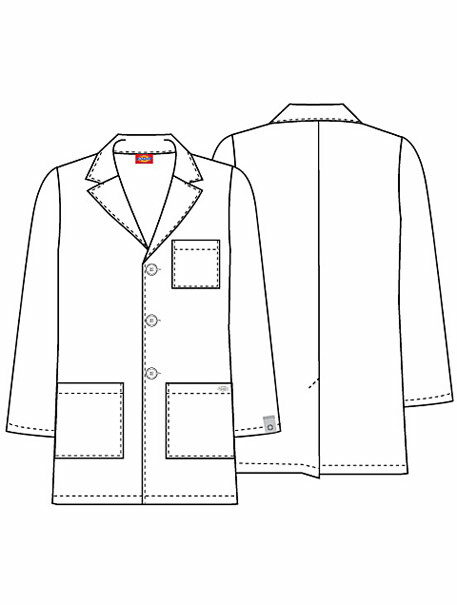 Also featured is one chest pocket, two lower patch pockets, one inside chest pocket, and a back kick pleat. Center back length: 31".